Launched in 1998, institutional twinning arrangements are an initiative of the European Commission to help the candidate countries for accession to the European Union to build their administrative capacities for the implementation of the European Directives, relying on the Ministries concerned in the Member States. They involve joint work of experts from the two countries concerned to find solutions that are perfectly integrated and adapted to the local context, usually formatted on the basis of field tests, formalized in the form of methodological guides, implementing decrees, strategy or planning document to be used and validated by the National Authorities. The mechanisms of stakeholder involvement are thus activated and developed on this occasion and the beneficiaries' legitimacy strengthened with wide dissemination of the results. These structuring projects involve the secondment of a full-time resident advisor for a period of at least one year, as well as short-term assignments of specialists on various issues. Specialized institutes: BRGM, IFREMER, CEREMA, IRSTEA, CEDRE, INERIS, etc. 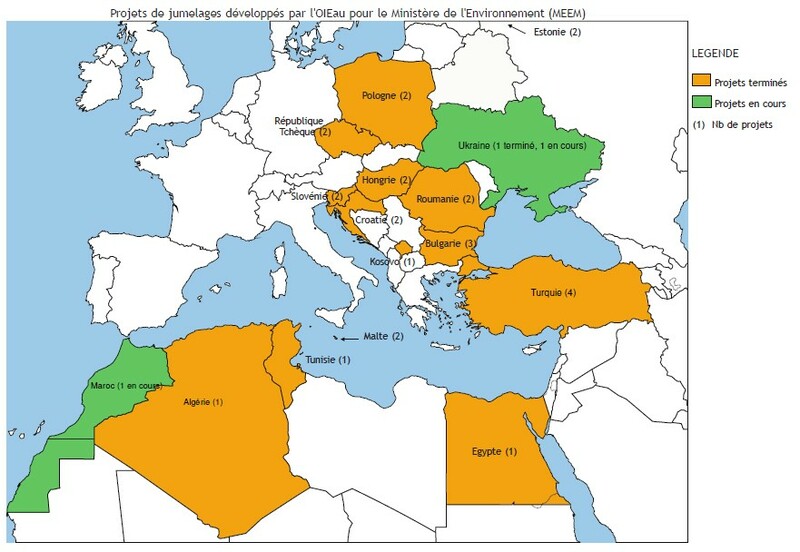 For nearly 20 years, twinning projects in the field of water have helped to accompany candidates and new entrants in their rapprochement with the “acquis communautaire” and the harmonization of practices. A relationship between administrations, between experts, has thus been established which strengthens the links between countries and intra-community relations as in the neighborhood area. A sustainable financing and incentive system: the application of the polluter-pays and user-pays principle through water fees that collect € 2 billion / year and finance about 30% of investments.